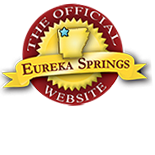 Chances are, if you are reading this, you already know a little bit about historic Eureka Springs, Arkansas. Perhaps a not-so-well known is the small community of Holiday Island, just five miles north of Eureka Springs on beautiful Table Rock Lake. This planned community, nestled in the Ozark Mountains is a paradise with beautiful wooded hillsides, scenic valleys and amazing amenities. Holiday Island is definitely a place not to be overlooked the next time you plan your Eureka Springs vacation! Holiday Island is home to both an 18 hole championship golf course as well as a 9 hole executive course. Thats a total of 27 holes nestled in the majestic beauty of the Ozark mountains! With daily, weekly and monthly rates, you can golf a little or as much as you want. Don’t miss out on these great Arkansas Golf Vacation Packages. The nearest Table Rock Lake marina to Eureka Springs is the Holiday Island Marina. The Marina offers fishing piers, boat slips, fuel, snacks, bait, and boat rentals along with free boat launching and ample parking. The Holiday Island Recreation Center has facilities for physical activities as well as rental and banquet facilities for group functions. Perhaps the most popular parts of the Rec Center are the two swimming pools and ample tennis courts. Miles of natural trails wind through the Ozark mountains and around the bank of Table Rock Lake with exposure to wildlife and great views of Holiday Island. The Holiday Island Campground offers 31 camp sites with full water, sewer & electric hookups offering both 30 and 50 amp services, restrooms, showers, pavilion and horseshoe pits. All of this and more lie within minutes of the marina, golf courses, and the many amenities of Holiday Island. All of this is just a short drive away from beautiful Eureka Springs, Arkansas. This entry was posted on June 15, 2017 by service424 in Attractions, Family Fun, The Great Outdoors, Things to Do and tagged boating, camping, fishing, golf, golf vacation, holiday island, marina, Table Rock Lake.